Teaching with Grace: 5th Grade Freebie Blog Hop- Grab your goodies!! Thank you for joining us with our blog hop! 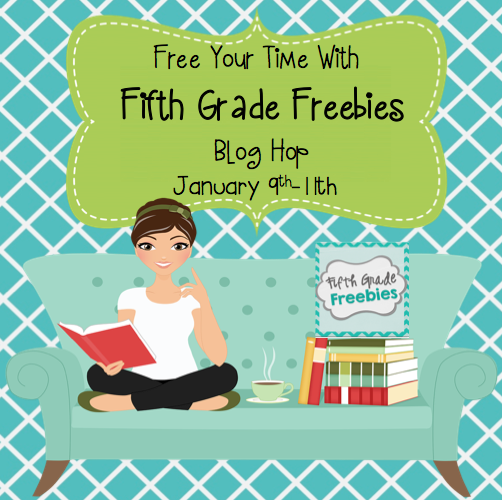 I'm so glad you're stopping by the Fifth Grade Freebies Blog Hop. Thanks for joining us. I hope you pick up some AMAZING freebies along the way. If you are starting here, make sure to make room on your jump drive! Make sure you follow our blog and facebook page so you'll be know every time we post another great freebie!! I'm sharing an awesome To-Do list that has been a life saver for me many, many times! Make sure to grab it by clicking on the following picture. Head on to Wild About Fifth Grade to grab another great freebie! 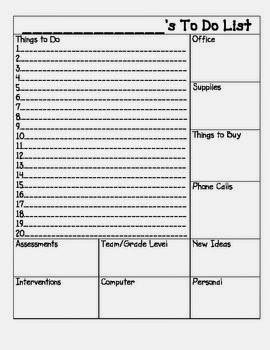 I definitely have New Year's resolutions focused on staying organized and getting ahead of the game! This is a really fantastic to-do list because it covers EVERYTHING, even the shopping I need to do, though I might end up writing something like "buy new shoes" because I'm focused like that! :-) You know I'm a huge fan of all that you do so I'm thrilled to be hopping with you! Aww! I'm a huge fan of you too Rachel! So glad that you are able to use my freebie! So glad! Thank you for stopping by!